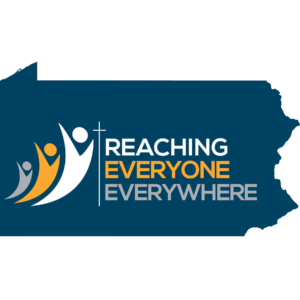 The Pennsylvania Conference is absolutely committed to helping God’s people in Pennsylvania live out His call to go into their neighborhoods and communities and make disciples of all people–reaching everyone, everywhere. Our primary role is that of training, encouraging and resourcing churches in their evangelistic endeavors. We believe that it is God’s will that every church be actively engaged in the work of evangelism. More churches are embracing this challenge by hosting various reaping events—preaching the three angels’ messages and calling people to Christ. Another important evangelistic initiative is our Faith for Family program, begun in 2015. Focusing on specific areas of our state, pastors and members from across our Conference come together to support area churches as they go door-to-door offering literature and Bible studies, and an invitation to an evangelistic series. Then our pastoral team unite to simultaneously offer evangelistic seminars for two weeks in each church in that area. Bible workers follow up leads and work with members to build friendships and help those seeking God grow in their understanding of Him and biblical truth. Pennsylvania Youth Challenge is a Christian ministry team of young people, sponsored by the Pennsylvania Conference of Seventh-day Adventists and designed to empower young people, ages 16 through college-age, to share their faith and earn tuition money by sharing Christian books, called Magabooks door-to-door and participating in community kindness projects. 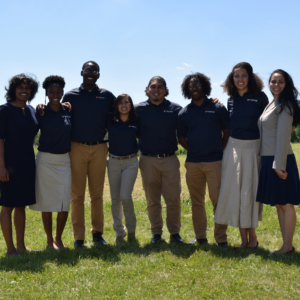 Our mission is two-fold: to bless the lives of young people, financially, socially and spiritually and to bless the lives of those our team comes in contact with at the door. Experience Christ in a whole new way during this year-long adventure in mission service, strengthen the core of your faith, experience spiritual revival, discover new spiritual gifts, talents and passions, all while earning college credit and seeing God’s hand in your life and through your ministry in ways you’ve never seen before!